Driving Directions: West on Interstate 90, exit Route 53 North. Take Algonquin Road exit. Turn right at Algonquin Road head west. Turn left at Meacham Road, 2 blocks to Thoreau Dr., then left. Turn right into hotel and convention center complex. Driving Directions: Take 290 West, it merges with 53 north. Take Algonquin Road exit. Turn right at Algonquin Road head west. 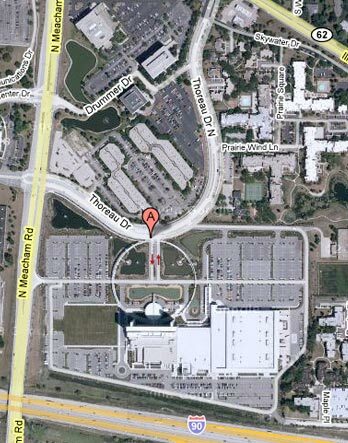 Turn left at Meacham Road, 2 blocks to Thoreau Dr., then left. Turn right into hotel and convention center complex.